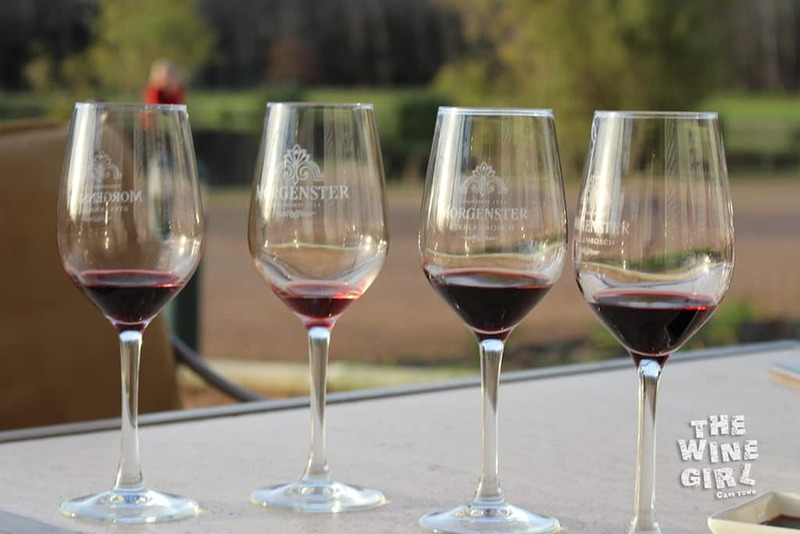 Wine farm 70 of 800 is Morgenster tucked away at the very ends of the Stellenbosch Wine Routes in Somerset West. This farm produces some of the best, award winning, olive oil that I have ever tasted, including even truffle oil! 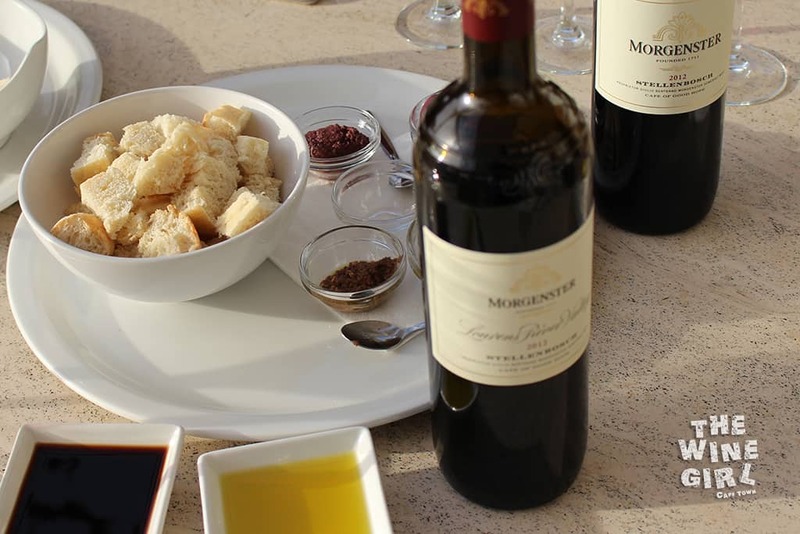 You will absolutely love their Olive Oil tasting for R40 pp including 6 oils to taste plus a bread and olive platter. Add wine and it’s R75 pp. 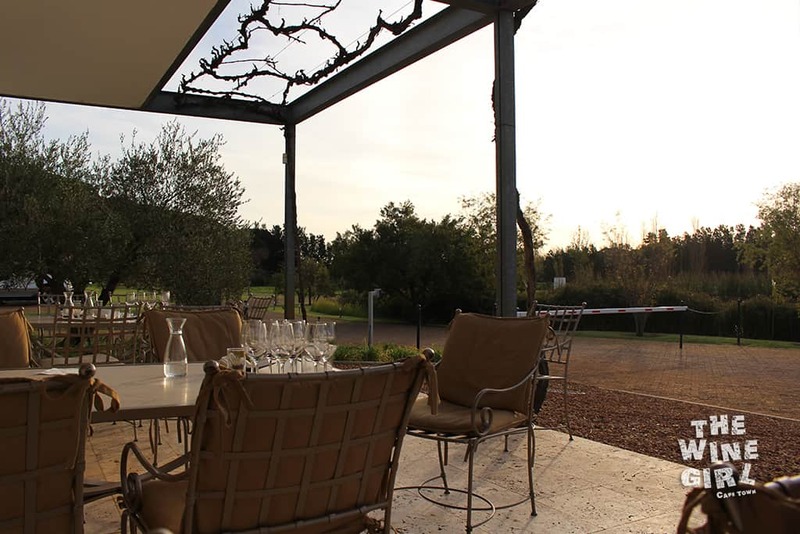 If you are Italian, this farm is a definite MUST DO! They have Italian blends of wine including Sangiovese. BOOKINGS: I always suggest bookings! 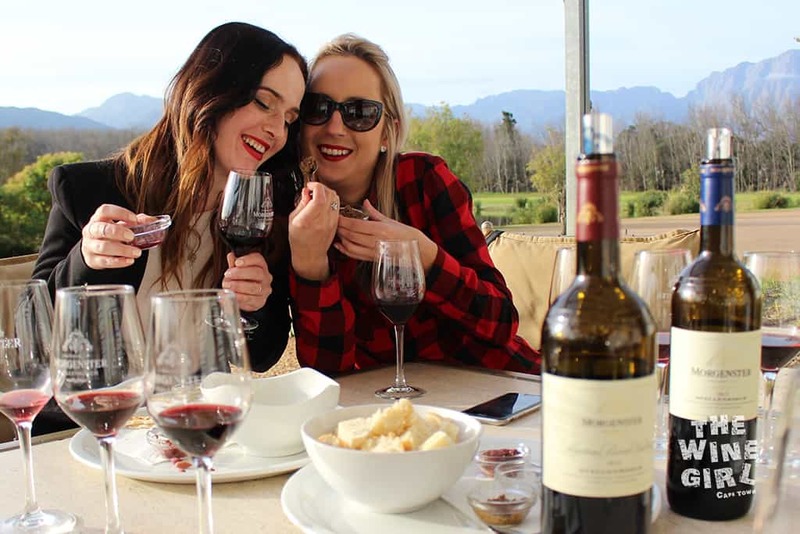 This farm has particular seating so I would recommend you book with them on tastingroom@morgenster.co.za they do also take walk ins though it is a very popular farm. So book to avoid disappointment. 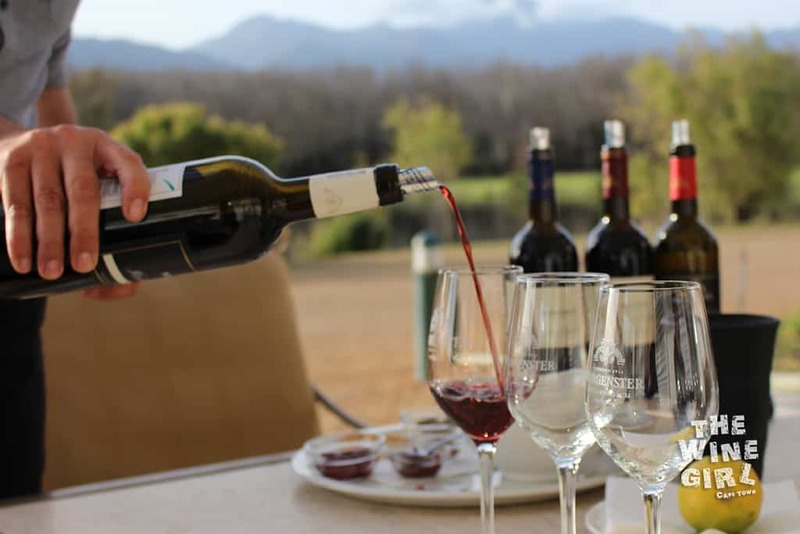 WINE TASTING: There are various options available ranging from R35 to R75 a person. 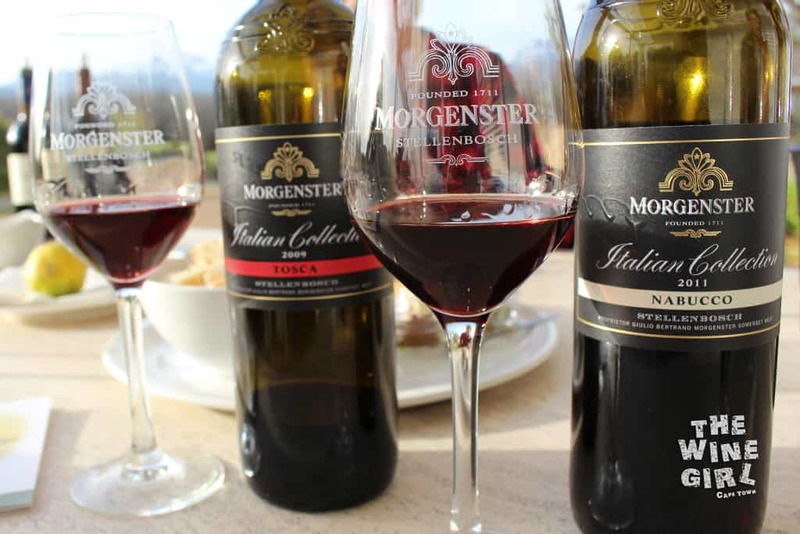 Choose from their unique olive oil tasting, chocolate pairing and even an Italian wine selection! WHEN TO GO: Great for any season. Enjoy sitting by the fireplace in the winter or outdoors, overlooking a lake in the summer. SERVICE: Very Professional and informative. CHILD/PET FRIENDLY? Not recommended for pets nor children. This is a more sophisticated wine farm. LARGER OR SMALL GROUPS? Best for 4 – 8 people. 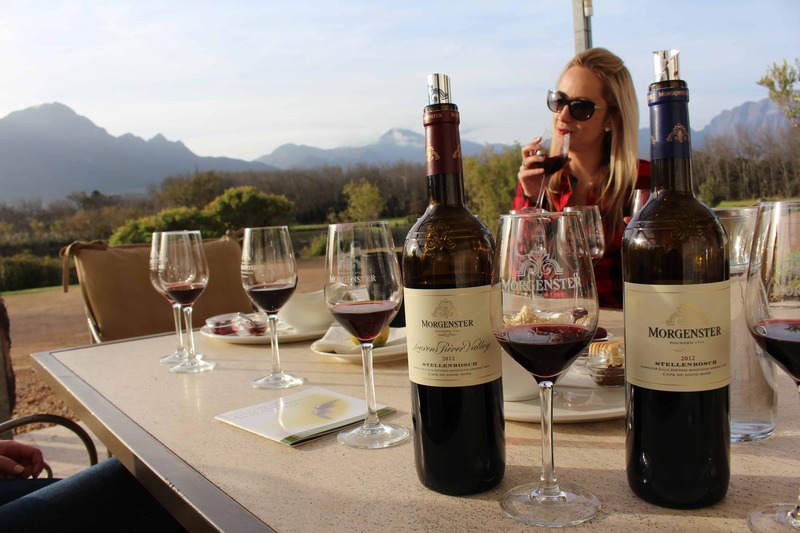 OTHER RATINGS: Learn what others have rated on Trip Advisor by reading the Morgenster Trip Advisor Review Page. The farm is quite tucked away. 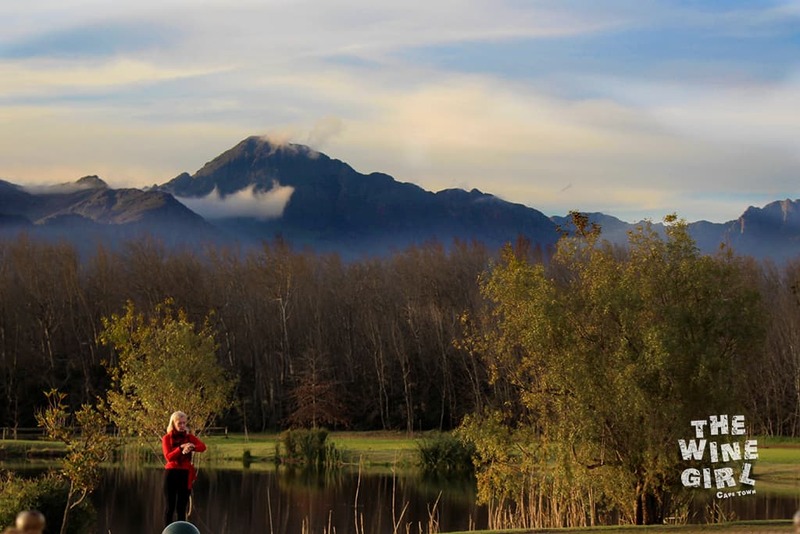 One minute, you are driving through a residential area, and the next you arrive in paradise! Think lakes, trees, mountains and green grass! Once you walk inside, the decor is quite elegant, warm and welcoming. There is a large glass panel that looks into the wine cellar. I opted to sit by the fire place as it was really quite relaxing. 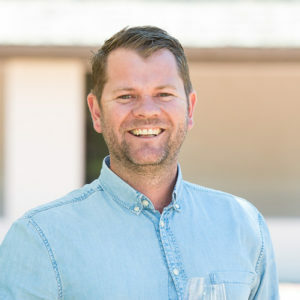 The tasting room Manager, Werner Els, was extremely passionate about the farm and we learned quite a bit about olive oil and the different variations. 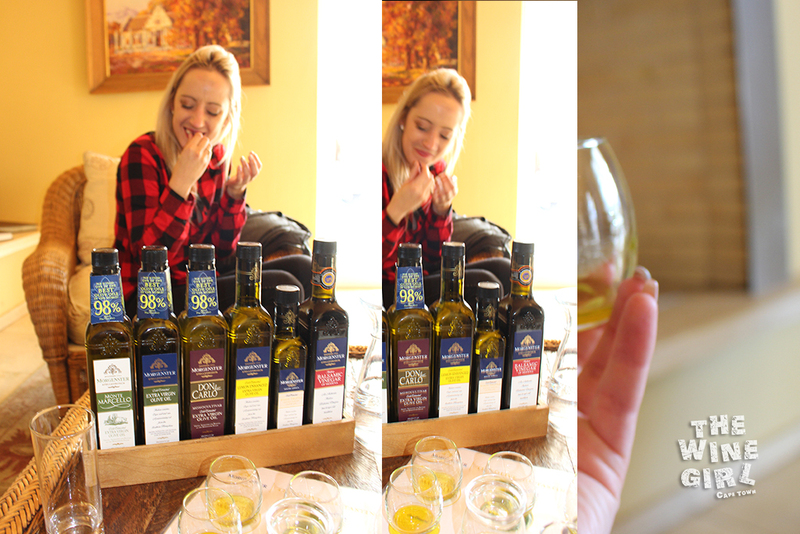 Each olive oil is poured into a small tasting glass so that you can warm it up in your hand and literally drink it! Or simply use the bread to dip into the glass if you are a bit squeamish for these types of things. Each olive oil has a totally different taste and I particularly enjoyed the Lemon enhanced, extra virgin olive oil. Just look at this colour! 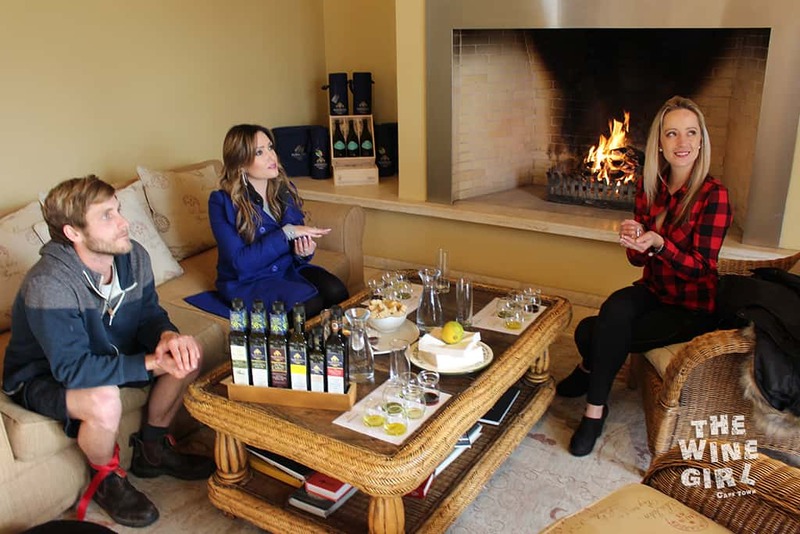 First, you will taste three versions of Extra Virgin Olive Oil mostly made with incredibly premium Italian olives. The term Extra Virgin relates to the level of fatty acids in the oil and must be 0.8% to qualify. I have linked each of the olive oils below so you can click to read a whole lot more. Next, you will taste an enhanced Extra Virgin Olive oil. White Truffle Enhanced Extra Virgin Olive Oil – this is seriously an incredible experience! It is quite a taste sensation and you will have fun sipping, dipping and smelling the different types. I moved outside as the weather was starting to look rather good. 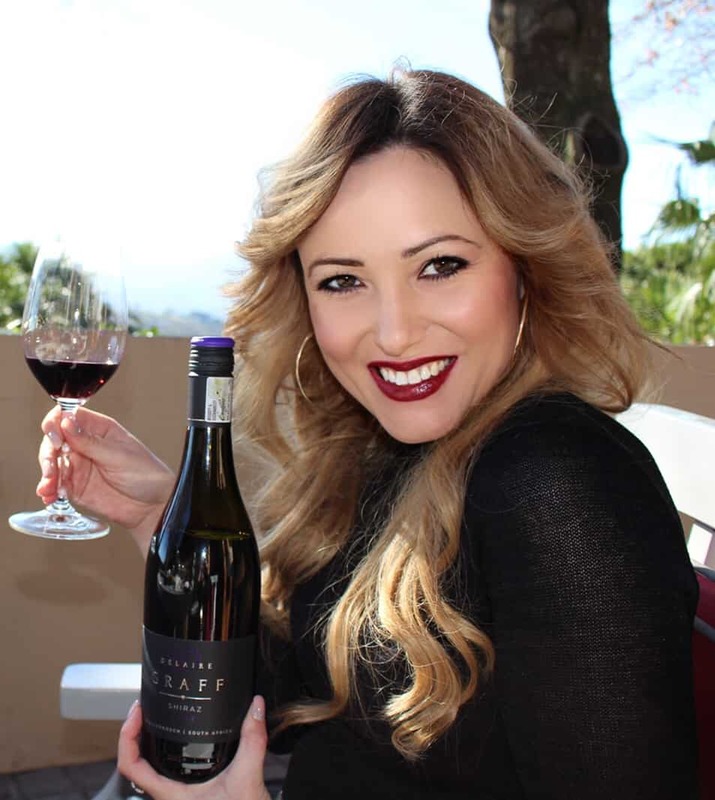 There is a fabulous Italian Wine selection for R40 to taste 3 wines which I couldn’t get enough of. The Tosca 2009 and the Nabucco 2011 was particularly my favourite. The Tosca 2009 is a blend of 76% Sangiovese, 10% Cabernet Sauvignon, 8% Merlot, 4% Petit Verdot, 4% Cabernet Franc. It’s a medium bodied wine with quite a complex nose I would say. Fruit, flowers and even cinnamon spice. The Nabucco 2011 is 100% Nebbiolo (yeah, I have never heard of that either). It was fabulously dry and I could literally smell tea! Incredibly full bodied and really smooth tannin. I also had the pleasure of doing a vertical reserve tasting. 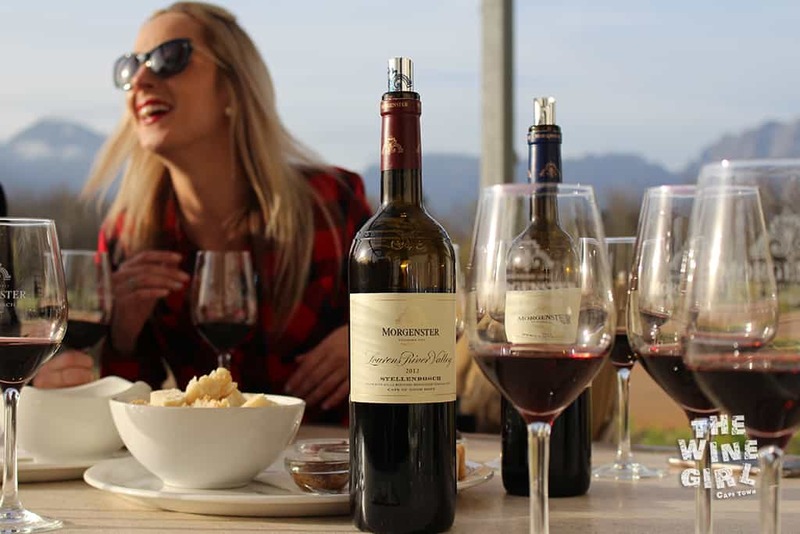 The Morgenster Lourens River Valley 2012 – 2011 which is a blend of 71% Cabernet Franc, 24% Merlot and 5% Cabernet Sauvignon and the Morgenster reserve 2012 – 2011 which is a blend of 72% Merlot, 16% Petit Verdot, 12% Cabernet Sauvignon. We ordered another bread and olive platter which also went well with the full bodied wines. The food and wine was flowing and we had an absolute blast!